Alyson’s mediation experience includes partnership/business disputes, construction, landlord & tenant, neighbour/boundary and agricultural land disputes, surveyor’s negligence claims, professional fee claims, workplace and contested probate disputes. She has conducted multi-party and group claimant mediations and has dealt with several long running litigant in person disputes. The more she mediates, the more she believes that the benefit of everyone having the chance to contribute to a workable settlement can’t be overemphasised. 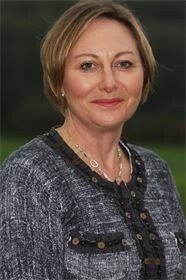 Prior to training as a mediator, she was a solicitor in private practice and in-house for over 15 years, gaining wide experience in commercial disputes, development and construction and professional negligence claims and contract drafting, with emphasis on property and construction law. Ten years advising in her spare time as a volunteer solicitor at Wandsworth Law Centre and at the Citizens Advice Bureau has also given her a good understanding of a range of employment, housing, consumer and neighbour disputes. Alyson is accredited by ADR Group as a Civil and Commercial Mediator and holds an MSc in Construction Law and Arbitration. In her spare time she runs, rides and keeps chickens.